Bhavneet Walia is an assistant professor in Falk College’s Department of Public Health. 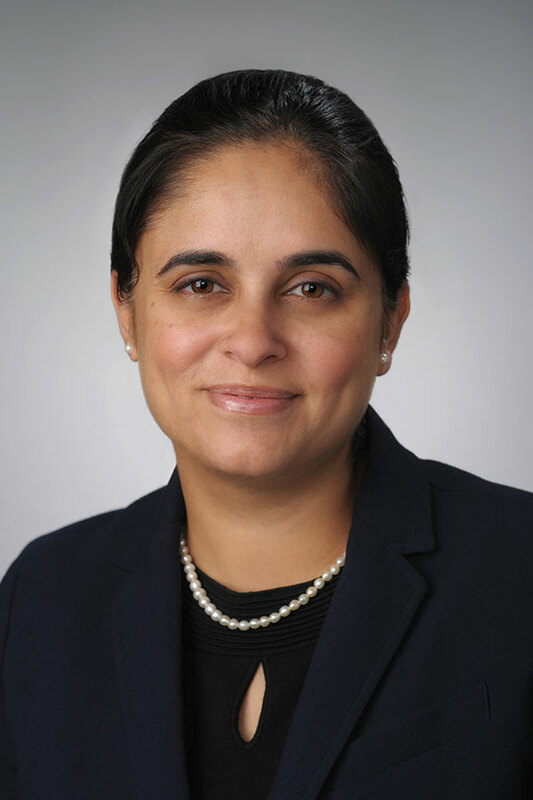 Walia joined Syracuse University in 2015 from Western Illinois University where she was an associate professor of decision sciences and founding director of the business analytics post-baccalaureate certificate program. Her fields of specialization include health economics and health econometrics. Her research and scholarship include 14 peer-reviewed journal articles that have appeared in leading journals of applied economics, health policy, and environmental policy: the American Journal of Economics & Sociology, the Journal of Economic Education, and the Southern Economic Journal, and two in Renewable Agriculture & Food Systems, Economics Letters. The recipient of numerous awards and distinctions that include the Provost’s Award for Excellence at Western Illinois University and the WIU College of Business and Technology Award, both for excellence in campus internationalization, Walia is presently associate editor of the Academy of Economics and Finance Journal. Her professional affiliations include the Academy of Economics and Finance and the American Economic Association. Walia holds a Ph.D. in economics with an econometrics specialization from Kansas State University, where her dissertation was entitled, “Three Essays in Health and Labor Economics.” Her master’s and bachelor’s degrees, both in economics, are from Punjab University in India. Health care markets and policy, early childhood development, environmental health, labor market policy. Mortality and behavioral effects of chronic traumatic encephalopathy and related neurodegenerative diseases. Health industry economics; industrial organization of health care industry and subsequent health outcomes. Dr. Walia conducts empirically-based research in each of these areas and looks forward to collaborating with students. She utilizes NLS data sets and related data in her research and analyzes data using health econometric models. She has published journal articles with students in the past and looks forward to collaborating with students in her active and future research program(s).